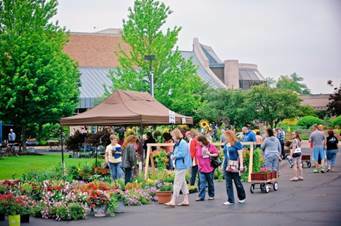 Prepare for your summer gardening projects with Garden Fair at Minnetrista! Are you looking for ways to strengthen your summer gardening projects? Well, search no further, because Garden Fair at Minnetrista has plenty of tools to start the growing season off right! On May 4th from 8 a.m.–4 p.m., come and explore an assortment of beautiful plants, landscaping tools, and crafts. Meet vendors, get tips from horticulture experts, and spend time with friends and family at this one-day experience. The first Farmers Market of outdoor season will also be taking place during the event! The Market will be open for business throughout the entire event. Also, be sure to stop by the Master Gardeners of Delaware County’s Annual Plant Sale! May 4; 8 a.m. – Noon at the Delaware County Fairgrounds.